The Meaning of "curved head"
"curve" is from "curvus" (bent), spoken by ancient people in central Italy around 700 B.C. 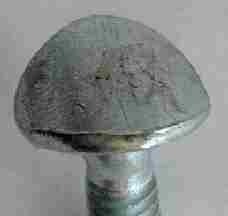 Type of head for a screw or bolt that holds screw or bolt to a curved surface. Added during manufacture. Can be various sizes. 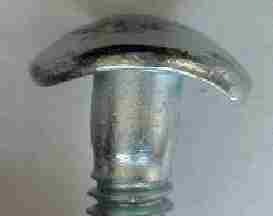 We had to design the extension pieces so that clothing would not get caught on the extensions or bolts, so a curved head bolt was used for smoothness. The curved head goes on the inside of the mirror box.